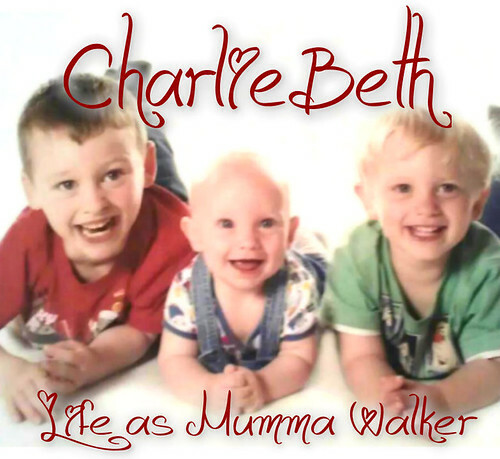 Mumma Walker's 7 Years of Pregnancy by CharlieBeth: Oops! I freaked out the Hubby! Oops! I freaked out the Hubby! I really didn't mean to frighten him. I was only thinking out loud about how I expect this baby to be big, at least as big as Jack. And that I know it's going to hurt! I tore with all three of my boys, even with an episiotomy. I fully expect it to happen again, I am mentally prepared for it. Or at least as much as I can be. It is, in my opinion, the worst part of child birth - the crowning and tearing. I warned him I would probably swear and be a bit nasty at that point, but only because people tend to lash out at the ones they love the most in those circumstances. My belly seems so much bigger this time round. My belly button does pop out now by evening. It might be because baby lies differently. It might be because baby IS that much bigger. I know I'm struggling to breathe if I do anything strenuous because my innards are pushing into my lungs to make room for baby. I have wondered how I'll get on in labour this time if I can't breath well! This baby is going to be BIG. We all know that. All my babies have been big. And I've always coped just fine. I don't see why I wouldn't this time round. Buy maybe I should keep my rambling mind to my self (or at least to the blog & forums), because now he's worried about me being in extreme pain, or dying because I can't breathe or tear too badly. Meantime I thought I would have a look at how likely it is actually going to be that Bean will break my former record. OK. Last week - week 33 - when I had my scan, this is what the EFW (estimated foetal weight) of Baby Bean is: 2943g, or just under 6.5 lbs. It's times like this I WISH I still had my green notes from my previous pregnancies, but the hospital still have them. I can request them, but at a cost (admin only) and at least a 40 day wait. Well.... I'll have HAD Bean by then so there's little point. I do have my blog though, so I did a little research back over my own posts. I recorded a sudden growth making baby 8 lb 10 oz. 4 weeks earlier at 33 weeks baby had measured just over 5lb / 2373g. 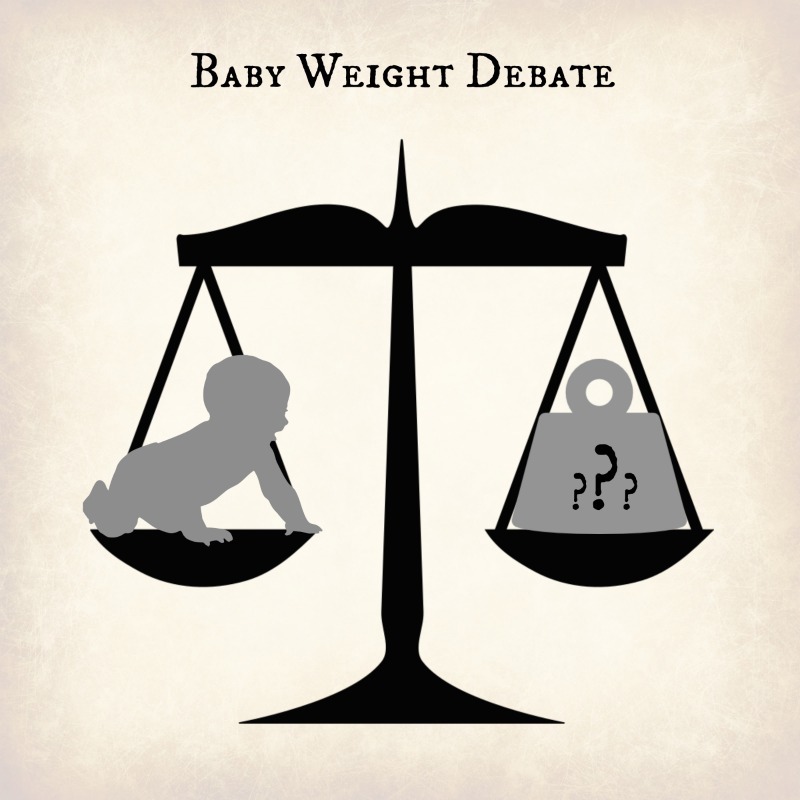 For some reason I didn't record the weight at my 33 weeks scan, although I did have one. He was 9lb 9oz at 39+6. So what do I think baby Bean is going to be like? Who knows! OK, currently baby is estimated to be considerably bigger than Jack was, and Jack was my biggest baby. But Tom also measured bigger than Jack and he was my smallest baby, born closer to his due date too. I guess it's easy to forget that these weights are only ESTIMATES based on the scans I'm having, and are not set in stone. My gut instinct is this baby will be over 9.5lbs just like all three of my others. I suspect it will be bigger than Tom & George. But bigger than Jack.....? I'm not convinced. I hope not! But I'll cope either way.